A technical and highly versatile hoodie for four seasons worth of travel and adventure, the Oasis Long Sleeve Half Zip Hood is an ideal layer for on the trail, in the snow or up in the air. 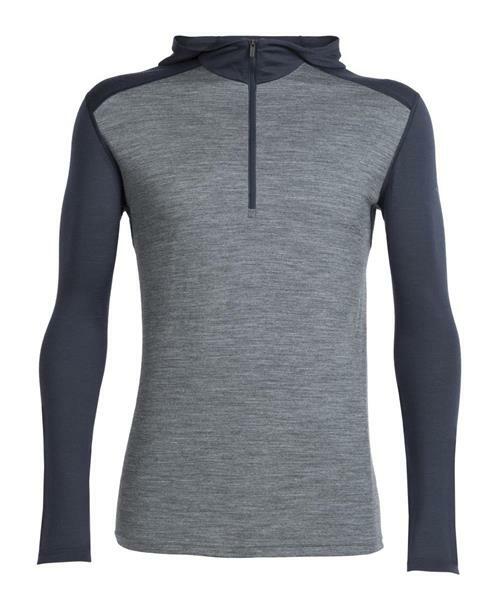 Made from Icebreaker's classic lightweight 200gm BodyFit fabric, the Oasis Long Sleeve Half Zip Hood brings the warmth, breathability and natural odor resistance you expect from 100% merino wool. The shaped hood adds warmth and easily fits under a helmet, while offset shoulder seams and flatlock stitching reduce chafing when you’re moving fast or wearing a pack.